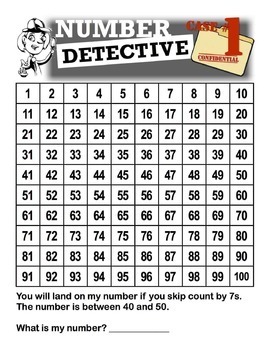 Multiples, Divisors, Skip Counting, Hundreds Chart with Samantha Sagacious! 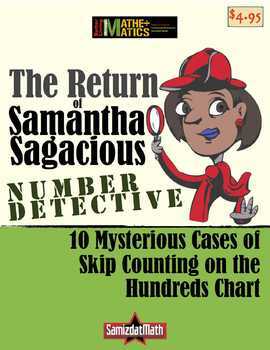 Our hero Samantha Sagacious: Number Detective, returns with 10 new mysteries, but this time she has a new tool at her disposal: the 1 - 100 chart. 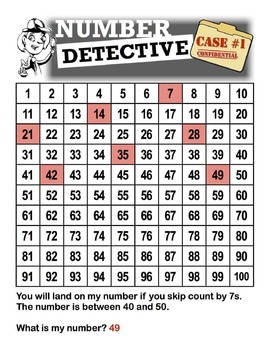 Your students will love solving each of these mysteries one at a time, either solo or in pairs at learning centers. Comes complete with answer key, and a set of "Do It Yourself" riddles that your students can create (and send to me!) for publication. Samantha Sagacious Rocks!